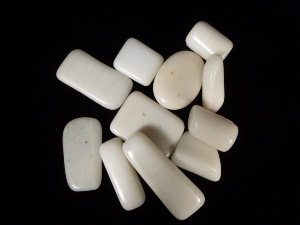 White Jade is said to direct energy in the most constructive way. It mat filter distractions, emphasising the best possible result, and may aid decision making as it pulls in relevant information. 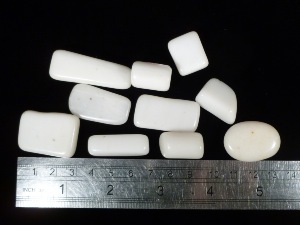 White Jade tumbled to a smooth finish, an ideal pocket size stone, small enough to carry around with you. Tumble Stones can also be placed around the home for their energies or can just be nice decorative items. Jade crystal gemstones of varying sizes selected specially for your order.